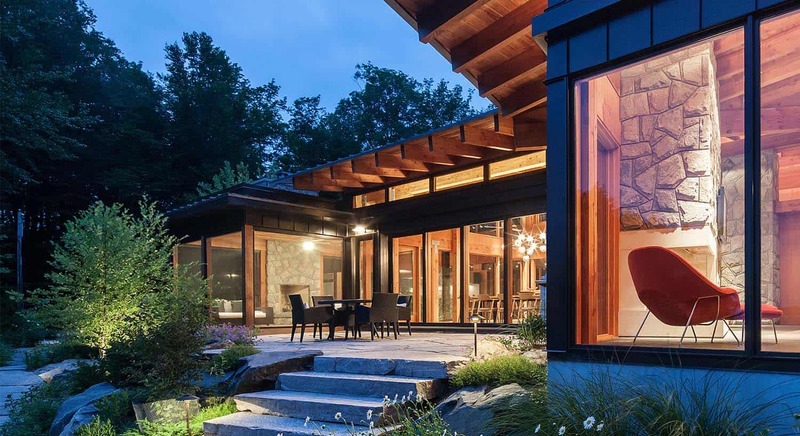 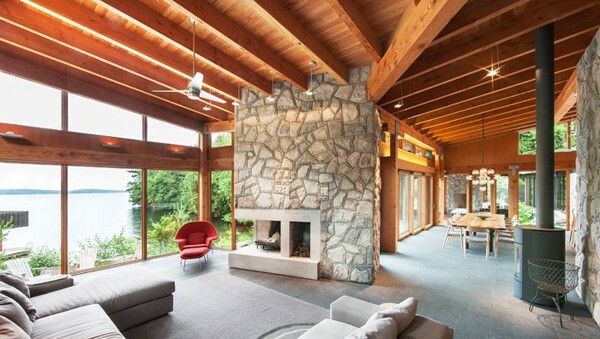 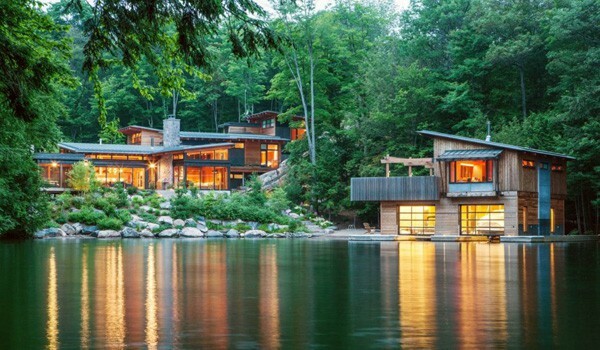 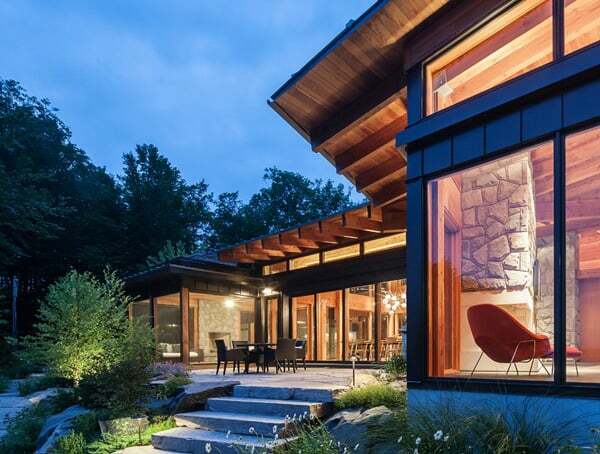 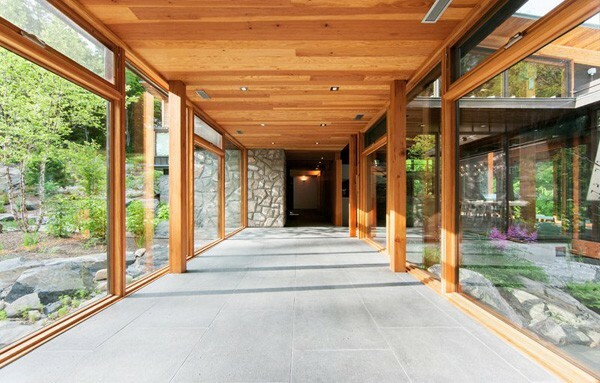 This stunning cottage retreat is situated on Lake Muskoka, Ontario, Canada, designed by Christopher Simmonds Architect. 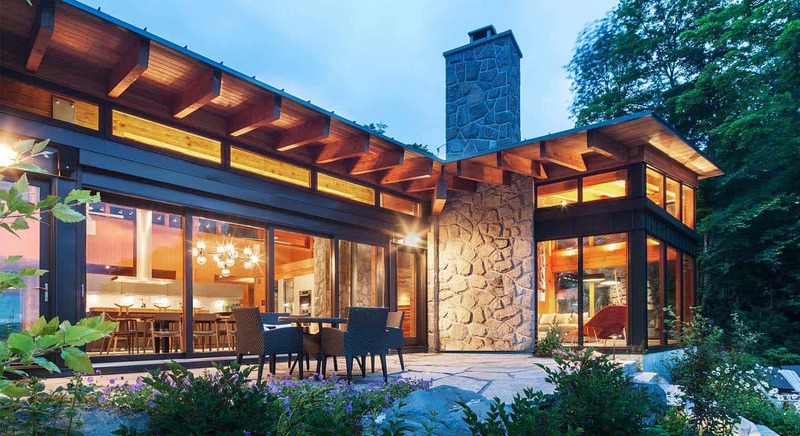 The vaulted forms of this post and beam structure straddle a seasonal stream and climb a rambling granite outcrop of the Canadian Shield. 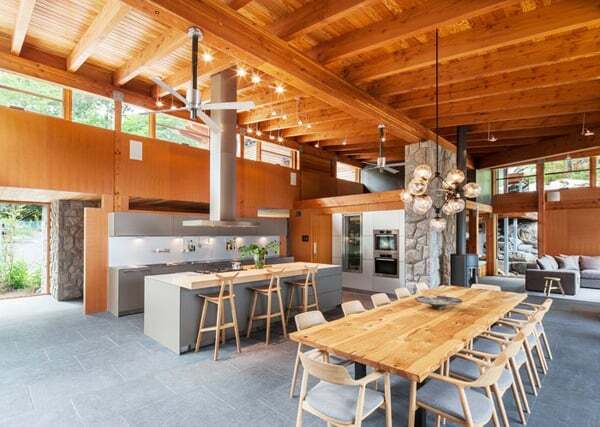 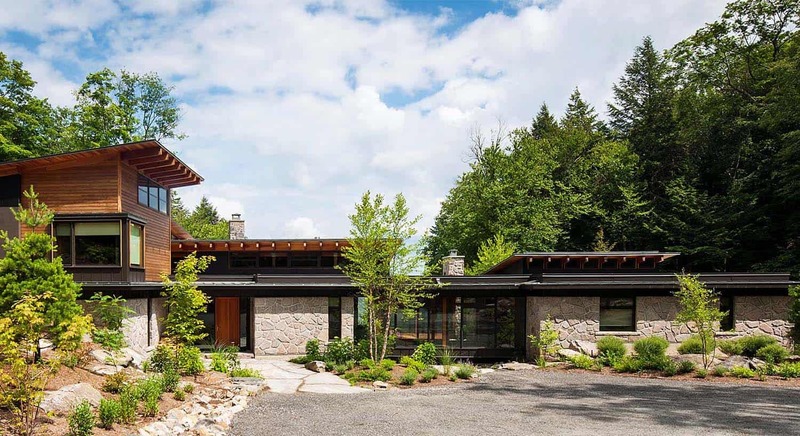 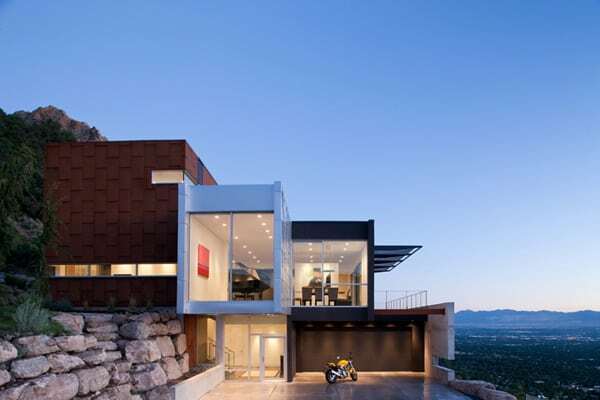 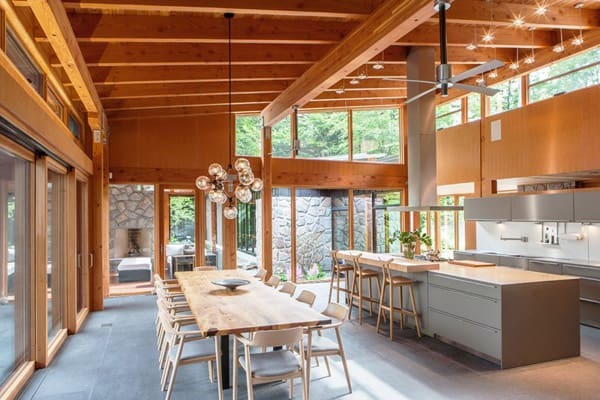 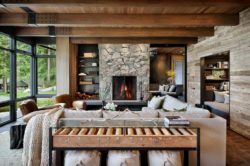 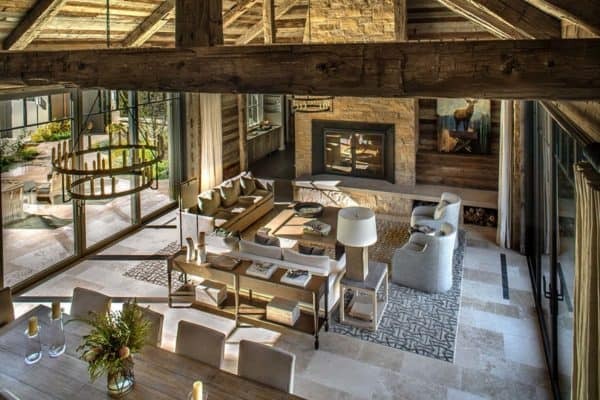 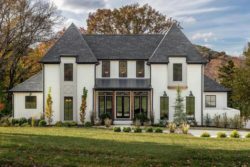 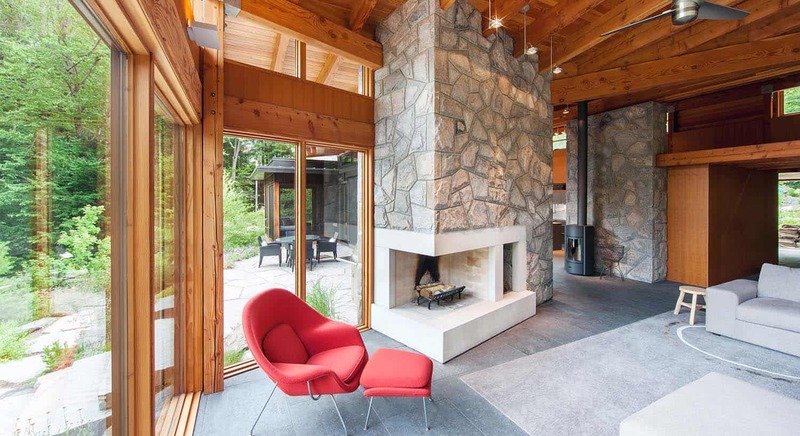 Envisioned as a multi-generational retreat, the center of this home is a high ceilinged pavilion of Douglas Fir centered on a stone and concrete fireplace. 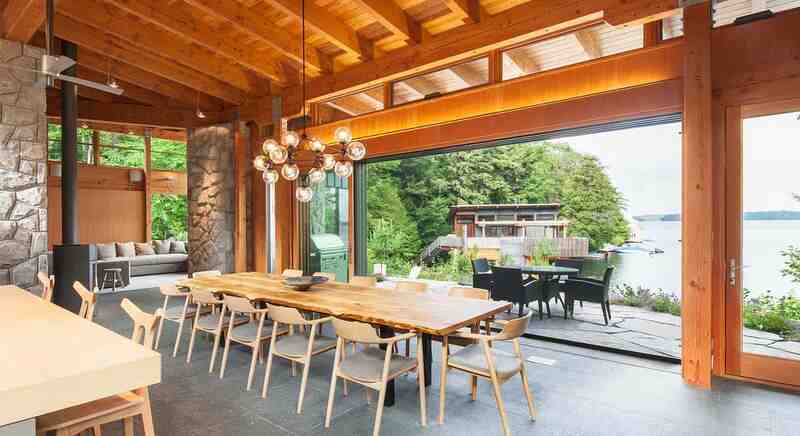 Sliding glass doors stack away to achieve unparalleled intimacy between the kitchen/dining area and the adjacent patio that overlooks a sheltered bay.